Recently, I wrote a letter to my daughter on what I wanted to teach her about being a Christian woman. Teaching children about God is my #1 goal as a mom, and so this letter to my daughter was a great way for me to identify specific ideals I wanted her to learn about becoming a joyful woman who loves God. 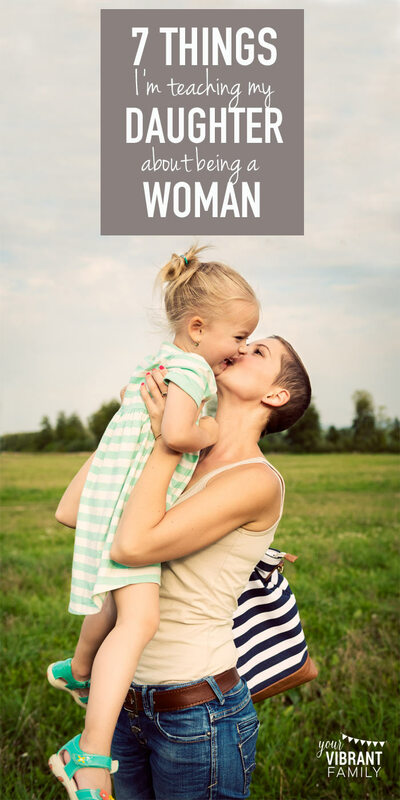 Do you want to teach your daughter or granddaughter what it means to be a Christian woman who lives with joy and purpose, and who is confident in her self-worth too? Whether it’s for her graduation, on the day your daughter leaves for college, on her wedding day, or other big celebrations such as first communion, I encourage you to write a letter to your daughter about how to be a strong Christian woman. This love letter to our daughters is also a love letter from God about His tender love and wonderful purpose for their lives. I pray that you are encouraged by this love letter to my daughter about being a strong, joyful woman filled with God’s purpose. The number on thing I want to teach my daughter is how to grow closer to God. 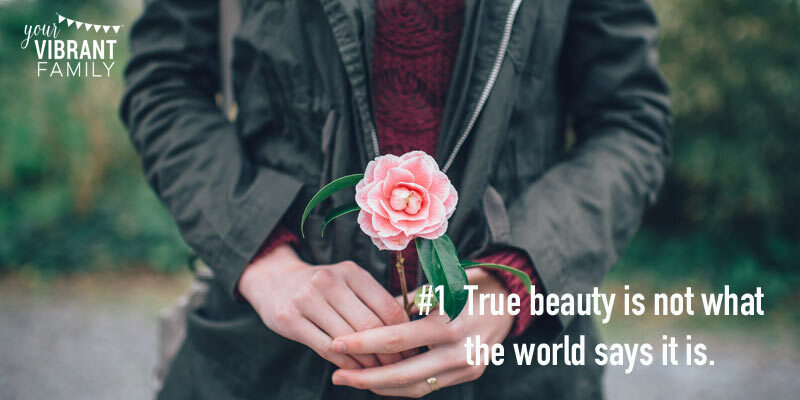 Teaching our daughters this incredible truth is the foundation for a healthy self-esteem and for helping our girls discover their beauty through His eyes! But teaching our girls how to study the Bible and have a relationship with God doesn’t have to be difficult. I’ve put together a free video course that introduces a simple Bible study method that’s perfect for teaching kids about how to grow closer to God–in only a few minutes a day! Imagine giving your daughter the ultimate skill of being able to know how to understand and apply God’s word to her life! There’s nothing more powerful! Teaching our girls how to have a vibrant, purposeful, joyful life starts with teaching them how to have a daily relationship with God. I firmly believe that helping our daughters know how to have a daily quiet time with God is really the most important thing we can teach them! I pray that you click here to get access to this FREE teaching so that you can give your daughter an amazing tool to truly KNOW God in her everyday life! GET ACCESS TO THE FREE “HOW TO STUDY THE BIBLE ” COURSE HERE. My daughter, true beauty is not what the world says it is. 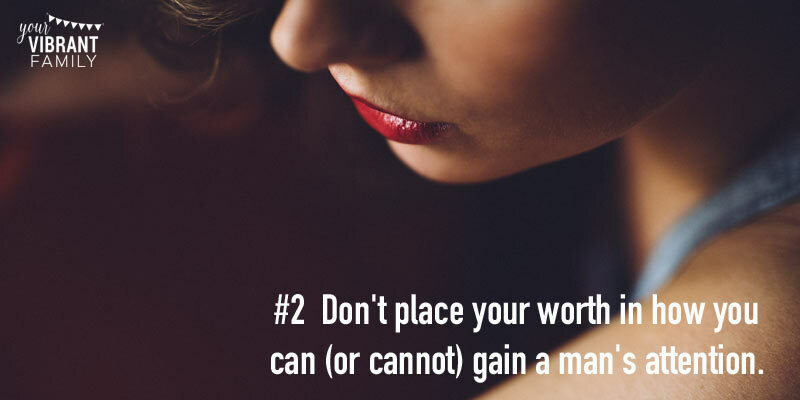 My daughter, don’t place your worth in how you can (or cannot) gain a man’s attention. Sweet daughter, use your fearless spirit to follow God without hesitation. Beloved daughter, it’s OK to have emotions. Just know how to use them for blessing and not destruction. My daughter, choose humility. Always. Dear daughter, make authentic, real relationships an important life priority. 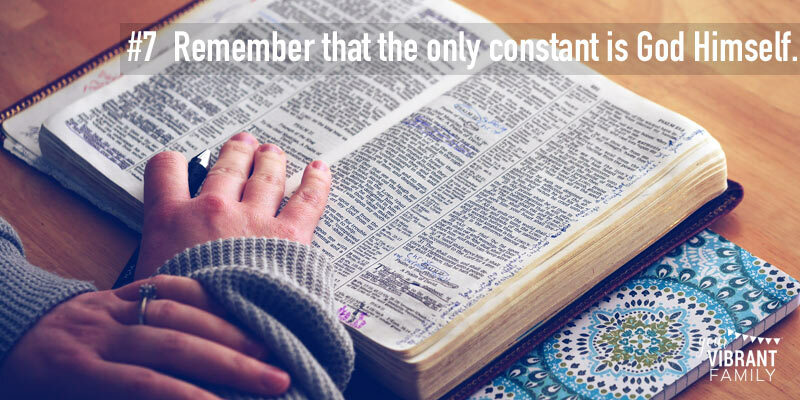 Beloved daughter, remember that the only constant is God Himself. I’ve embellished on each of these points in a letter to my daughter on being a strong Christian woman below (and included bible verses important for daughters to know on each topic). It’s never too late (or too early) to share these truths about how to be a strong Christian woman with our girls! Decide today what you want to teach your daughter about being a woman (I pray this letter to my daughter will give you ideas), and then be intentional! 1) My daughter, true beauty is not what the world says it is. Although you are strikingly gorgeous on the outside, more than anything I want to encourage you to always grow deeper with God, allowing his “gentle and quiet spirit” to flourish in your heart. The Bible describes this as pure beauty (1 Peter 3:4). Of course this doesn’t mean that we can’t enjoy a mani/pedi from time to time, or that we can’t share a love of clothes and fashion. In fact, I can’t wait to share more of those moments with you! I just want you to understand that these things don’t define who you are or determine if you are beautiful or not. You are beautiful because you are His amazing creation, and your soul grows more lovely the closer you get to him. Period. 2) My daughter, don’t place your worth in how you can (or cannot) gain a man’s attention. Oh my daughter, I spent so many years chasing this… only to find that the true void I was trying to fill was never going to be filled by a romantic relationship. You will turn the heads of boys. I have no doubt about it. With your easy smile and your daddy’s sky blue eyes, you will get many looks (sometimes even when you won’t want them). But don’t fall into the trap of needing to have a man’s attention in order to feel beautiful. Your outward beauty (and your ability to turn heads) will fade, especially as your body changes after kids. You can’t let anyone’s approval or disapproval of your physical attributes determine your worth. You are more than just an object to be desired. You are precious and loved regardless, and your worth has nothing to do with how little or how much attention you get from guys. That’s why I encourage you to dress yourself in a way that honors your body as a gift from God, not as an object to be consumed. There’s lots of grey areas here, but when in doubt, err on the side of modesty. 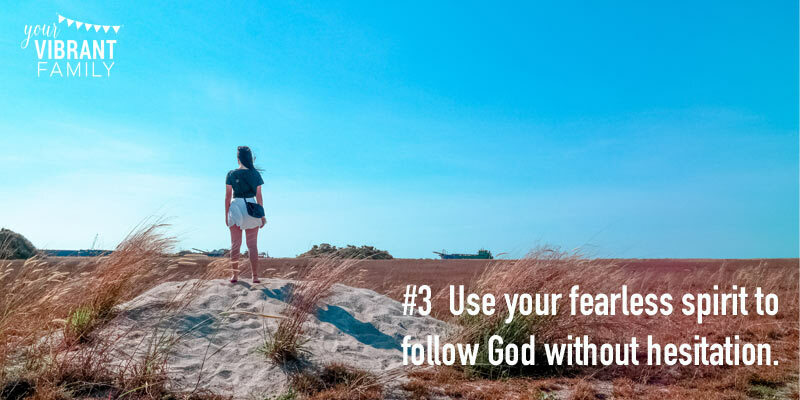 3) Sweet daughter, use your fearless spirit to follow God without hesitation. Earlier this week you told me (in your matter-of-fact way) that you were going to be a missionary. This didn’t surprise me since you’ve already been on a few missions trips, and you have an intimacy with God unlike that of many other kids your age. And let me say this: If anyone has the gumption and passion it takes to proclaim the Gospel to every nation, it’s you, my darling daughter! I love your fiery passion for God! But whether full-time missions work ends up being part of your adult future or not, I want to encourage you to follow God in whatever you do. We are called to share God’s love in whatever job title we’re given. There are no right or wrong answers! Your daddy and I are here to help you discover what talents you’ve been given and to guide you toward your beautiful future. Whatever God calls you to do, never be afraid to follow him. 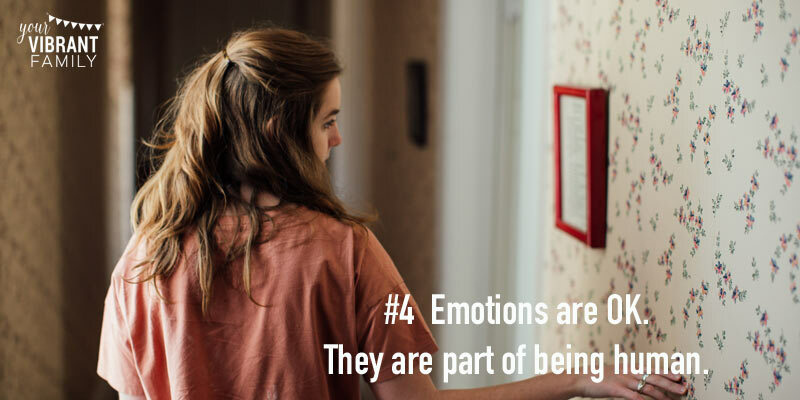 4) Beloved daughter, it’s OK to have emotions. Just know how to use them for blessing and not destruction. With all that gumption comes lots of (sometimes unbridled) emotion. I have that same passionate, driven heart as you, and I get what you’re feeling. I want you to know that I’m always here to listen and to help you understand where those emotions are coming from. But I also want you to know that it’s not OK to let our emotions fly unchecked, and that we must continually bring our feelings before God for help in sorting them out. He is the creator of emotion and He put that fire in your heart! Learn to listen to his voice in the moment, so that you can learn how to best handle those emotions in a healthy way. 5) My daughter, choose humility. Always. Serving others and wanting to help seems to come naturally to you, and it is beautiful to see you use this gift. While humility is a character trait that every person should strive for, God’s word specifically tells women to do good (Titus 2:5). There are times when you must just let things go and give people space to be imperfect (Ephesians 4:2-4). Look for ways to serve others, and be quick to help in whatever way is needed. Regardless of your right to be angry, do your best to not return evil when you are mistreated (Romans 12:17) and instead exercise humility and gentleness. 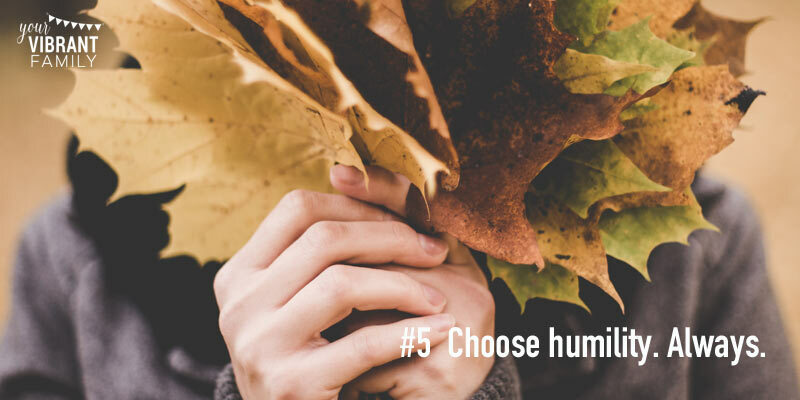 In these simple ways, you will be changing the world–one moment at a time! 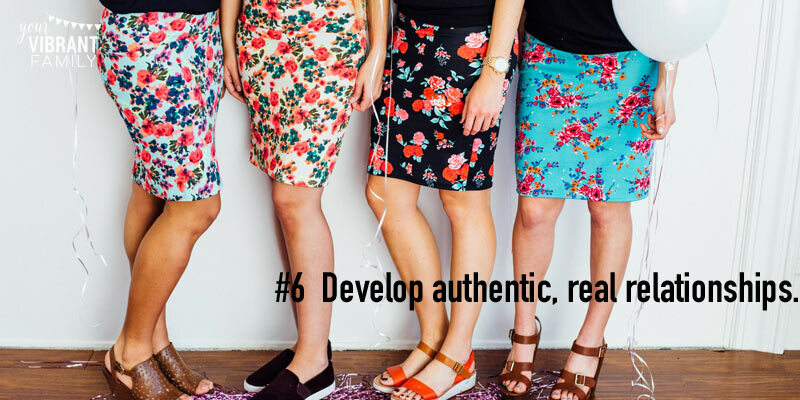 6) Dear daughter, make authentic, real relationships an important life priority. One of the greatest blessings I’ve been given in this life is the women I’ve encountered. But in order to know these women, I’ve had to take off the mask and learn how to be real. As a result, in every season of my life, God has always been so good to surround me with a myriad of women who each, in their own imperfect way, taught me about the woman I want to be. These have been young women and old women. Some of them I’ve known for years, and others I only knew for a season. Regardless, as I look at the big picture of the woman I am today, I see tiny facets of each of these women reflecting back at me. God arranged for my path to cross with each of these ladies. But, my daughter, I had to choose to invest time in deep, honest relationship with them. Sometimes I had to boldly pursue friendship, especially when I was in a brand new social situation. And that’s my hope for you, my dear one. I pray that you would not be too busy or too afraid to open yourself up to authentic relationship with women who also want to live their lives intentionally for God. 7) Beloved daughter, remember that the only constant is God Himself. You will have good seasons and bad ones. You’ll have times when you are on top of the world; and other times you’ll wonder about the meaning of it all. People–even the closest people in your life who love you profusely–will disappoint you sometimes and hurt your feelings. Money will come and go. You may live in poverty at times or even possess extreme wealth. There really is no guarantee in life. Everything you count as “constant” can all change in the blink of an eye. Except for one thing: God’s love. Let His love be your foundation. Let His words be your standard of right or wrong, regardless of what the world says. Let Him carry you and comfort you when you’re too weak to keep on fighting. Learn how to have a relationship with God. Learn how to understand Bible verses and how to make them real in your life. This is the most important skill I can teach you! (P.S. And for you, fellow mom reading this, click here to learn how to teach your daughter this most important skill–how to know God and grow closer to Him everyday through a simple-yet-powerful Bible study method). 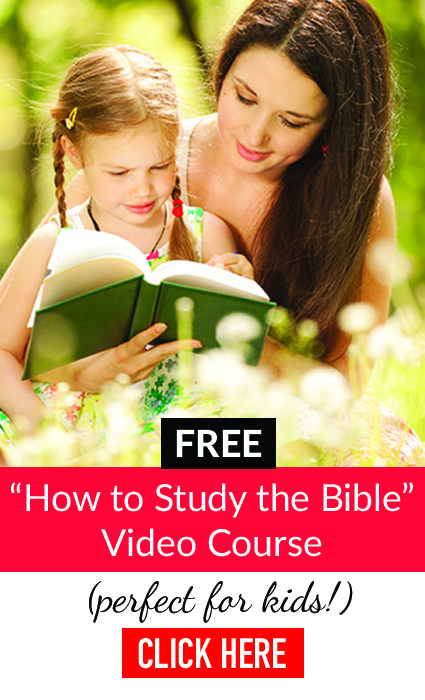 CLICK HERE TO GET A FREE VIDEO TEACHING ON HOW TO TEACH KIDS TO STUDY THE BIBLE. God’s love is real, never-changing and unconditional. Let His love fill your heart and be the overflow for how you can love others. My daughter, I will always be here to listen and I will do my imperfect best to model all that I’ve shared here. There’s so much I want to protect you from, and yet, I must hold you loosely. I can guide you and set an example, but ultimately, you are in the driver’s seat. And the older you get, the more I must slowly turn the steering wheel of your life over to you. You can determine the type of woman you want to be! I pray that you will take small steps–even today!–toward that woman you dream of being. Don’t be afraid of falling down or messing up. Just keep moving forward. I also pray that God will continue to give us a wonderful closeness and special bond so that we can continue to grow together. There’s so much I learn from you too! You are my small-but-mighty girl, and I always will be in your corner cheering for you! I’m so blessed to know you through every stage of your life! Don’t Miss This Free Video Teaching on How to Teach Our Daughters to Connect with God! More than anything, the most important life skill we can teach our daughters is to show them a practical way to know God through a daily quiet time. I want to make it easy for you to teach your daughter how to connect with God each day! This free 3-session video course is the perfect tool for anyone to learn a simple Bible study method that will allow you to grow closer to God each day! Be sure to click here and have this free video teaching delivered right to your inbox so you can teach your daughter this important life skill that will bring blessing to her everyday! Get the free “How to Study the Bible” video teaching here.